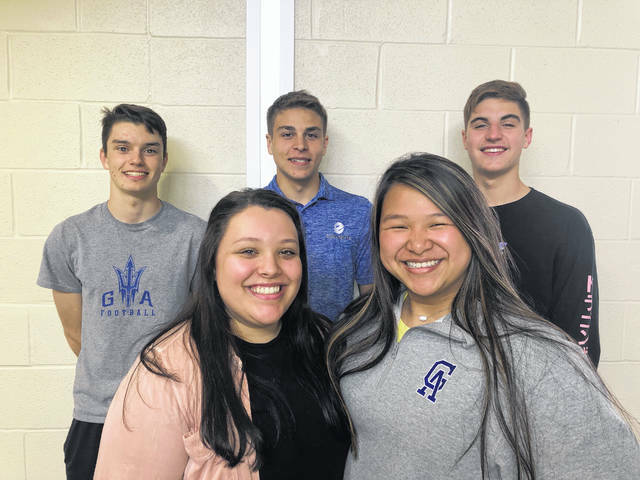 Students from Gallia Academy Business Professionals of America are taking five of the 10 spots in the nation for cyber security when they advance to the BPA National Leadership Conference in Anaheim, Calif. next month. The students, pictured, are Seth Nelson, Evin Little, Adam Stout, Mackenzie James, Makenzie Yarger, Bailie Young, have utilized the after-school program to further their knowledge in the subject and prepare for the competition. According to a statement from Gallia Academy and Gallipolis City Schools, “As part of the technology strand offered through Buckeye Hills, these students are learning valuable lessons they can use in their future careers while being offered these kind of great experiences through BPA. Shawn Northup, technology Teacher at GAHS, is the classroom teacher responsible for their success.